Celebrate being a survivor. 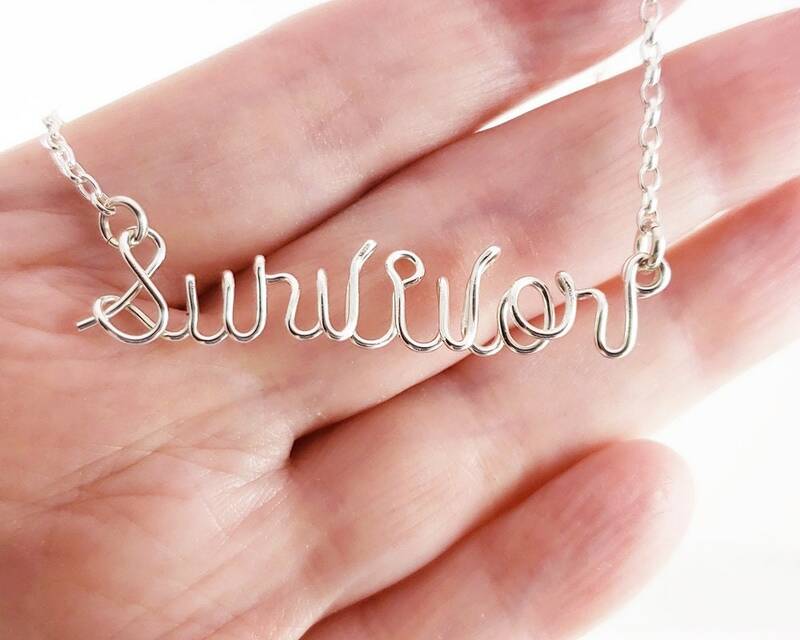 This is a wonderful gift for a cancer warrior or anyone you know who has come through life's obstacles and survived! Made from your choice of metal with matching chain. Gift boxed. If you prefer, you may choose another name or word up to 9 characters long in place of Survivor. I need to know the proper spelling of the name or word including capital lettering in it's proper place. Please understand that I generally do not make a name with all capital lettering. They don't generally work out as well that way. It "can" be done, but if you want this please send me a message prior to purchase to discuss it. If you show me the name in all caps, I will capitalize the first letter only and make it with the rest lowercase by default unless you message me. I can add a heart if you prefer to the end of this. If you want the heart, please let me know.